Our mission is to serve as many families as possible with the greatest chiropractic care so that our true health potential is realized. We encourage our patients to help us in this important and noble mission. Dr. Jordan Long is a graduate of Palmer College of Chiropractic in Davenport, Iowa where she received her doctorate degree in chiropractic as well as a bachelors degree in general science. While at PCC she received an education focusing on the science, art, and philosophy of chiropractic, also learning multiple techniques focusing on caring for families. During her time at Palmer she was also an active member of the womens rugby team, as well as other on campus clubs. 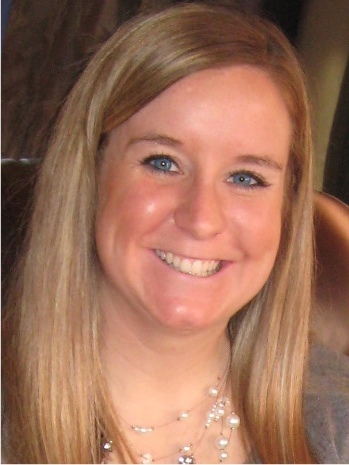 Jordan takes a particular interest in children and will continue her education in pediatrics and prenatal care. Dr. Jordan takes great pride in committing herself to helping others on their journey to wellness through chiropractic care. When not in the office, she especially enjoys spending time with her husband Mark, daughter Ellie, and son Emerson. Together they enjoy traveling, being outdoors, and watching movies. Personally she enjoys a good book, cooking a new recipe, and relaxing next to the pool. Jordan enjoys working with Robinson Family Wellness by improving the lives of those in the Coralville area using the true health package and spreading the word to those who are looking for an alternative path in health.